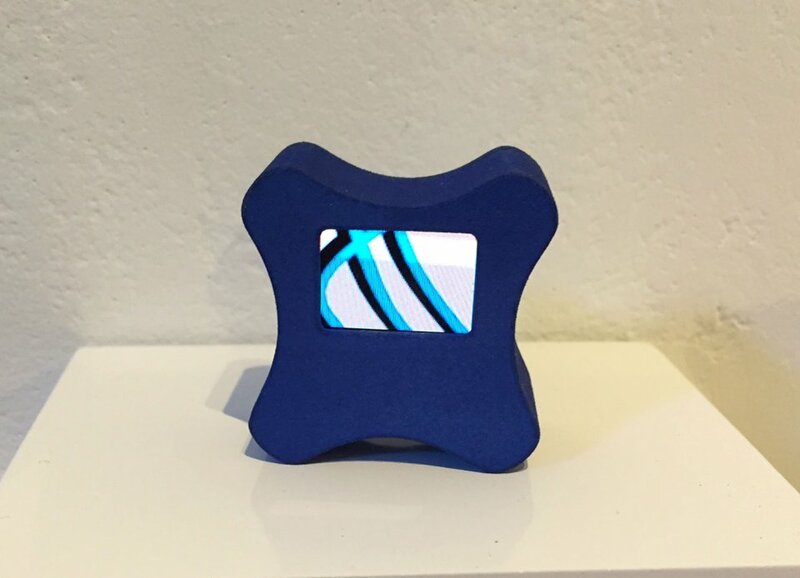 Since the MEMENTO is a wearable as well cute little digital window I wanted that to reflect that in the animation. It’s about clothing threads gently oscillating between comfortable curves and being pulled straight over skin. Inflatable Reality is an international team of students and alumni from DePaul University led by assistant professor Brian Schrank. Half research lab half art group they use experimental technologies to craft compelling game experiences such as the award-winning VR game Dumpy: Going Elephants and the card game Pedandeck. Breaking conventional boundaries between art, science, and entertainment, their work advances the medium of games by evoking empathy for the oppressed or underrepresented while appealing to players outside of the overly-marketed-to, mainstream gamer communities. The Collider Exhibition Series examines the impact, implications and inspiration of the phenomenon generally categorized under the umbrella term New Media within the design practice and fine arts. The theme for Collider:C8 is voxel.